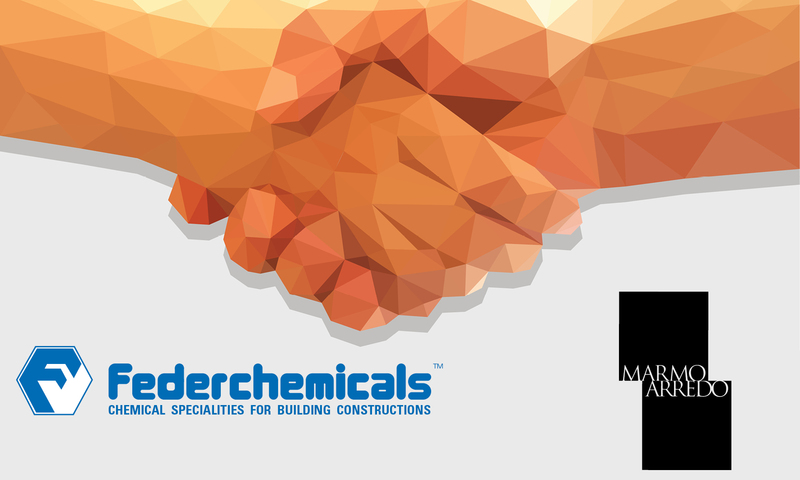 Since over 50 years Federchemicals is an italian leader society in the sector of the applied chemistry for solutions, protection and maintenance of all the surfaces in the stone/ceramic sector with a brand recognised both on national and international level. Since over 30 years Marmo Arredo transforms marbles, granites, natural stones, composed materials and agglomerates that are destined to the construction industry and to the interior design. The quality of the products in the industry is well-known and it distinguish al over the world for the ideal combination between artisan handmade and high technology. The partnership offered by both societies through a specific line of products and the technical consultation to the clients will always make more performant the offer of solutions after sales in a efficient and focused. Therefore he synergy is based on a close connection between two producers that boast an important productive technical experience on the high technology, in order to provide a punctual and sharp support.